Migrating from traditional circuit switched telephone networks to packet switched VoIP networks is hot. Not surprising, because many providers are shutting down their circuit switched networks in the near future. Deutsche Telekom was one of the first, and many are expected to follow. Therefore, businesses are quickly turning to new systems for their telephony, for which they strongly rely on Voice over IP. If you are one of these companies, you’ll know that SIP is a core technology for VoIP and has become the standard for business communications – all main communication service providers have implemented the protocol in their networks. The result? All devices are easily supported in a safe and reliable way. With the Session Initiation Protocol (SIP) it is possible to easily establish, modify or close a communication session on an IP network. This applies to any type of session, whether you are having a simple phone call among colleagues or a complex web conference with many international participants who share video or images. The nice thing about SIP? It is an open signaling protocol and serves as the de facto standard for communications. The protocol is backed by a very active and strong community that is constantly adding features. And since SIP is an open standard, these new features can be added to SIP without the need to modify existing devices. An interesting advantage for business end users, whose business environment often consists of multiple devices. Another advantage is that you can use SIP on your existing data network. This means your business no longer needs two separate networks for voice and data. Instead, you use your IP network for both voice and data. Your business can now easily address the explosion of consumer-grade communications devices (also known as BYOD or Bring-Your-Own-Device) that your employees are bringing into the company or that you supply to your employees. It is very easy to support converged voice and data and rich (business) communications, which may well set your company apart from your competitors. Not to mention the fact that you can profit from cloud telephony, to significantly reduce costs and simplify management efforts. Furthermore, there is the aspect of security. Voice over IP is data traffic and we all know that it is more important than ever to secure data traffic. SIP has a number of embedded and external security mechanisms that create the right level of defense. For example, SIP can be encrypted or individual SIP messages can be challenged with authentication requests. In addition SIP supports initiation of encrypted media streams to prevent eavesdropping. Everything to make sure your business communications solution is not only of optimal quality, but also optimally secured. The evolution of SIP within Gigaset Communications GmbH? It all started with our DX800A PRO. This solution was designed to serve as the powerful and flexible heart of home and small offices. It offers the ultimate flexibility through a set of rich features that support analog, ISDN and IP telephony in any combination a customer requires. It also highlights the capabilities of SIP as an effective investment for the future, as it allows customers to choose the telephony service that is right for them and to migrate to new technologies whenever they want. The migration path is the key to success in the evolution of internet telephony. Since SIP is accepted in the industry as the standard for business communication, medium-sized and larger businesses will turn to cloud-based solutions that, for example, offer various network services including SIP for telephony. In the end, it is all about effective and seamless business communications. Right now, our entire IP portfolio has the same SIP implementation which makes it easier to deliver and support these systems. Looking ahead, SIP has a bright future ahead of it, as it enables seamless, rich and secure business communications. How does your business benefit from SIP? SIP is accepted on nearly all communication devices and platforms. That’s why you should easily be able to find exactly those SIP based communication solutions that your business needs. And the high flexibility of these solutions allows you to easily adapt to changes in your business. 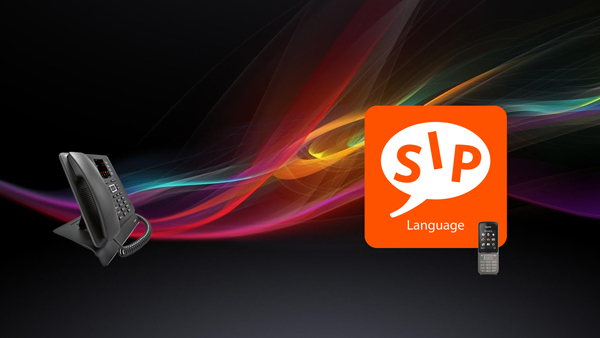 For Gigaset Communications GmbH, SIP has been the standard for quite a while now. We develop a wide range of SIP-enabled devices – from cordless solutions for SMBs, smartphones which are SIP-enabled and connected to your network via apps, to the new true SIP desktop devices for any desk or wall-mounted use. Now that all communications networks are on SIP, communication has never been easier, more secure, and more flexible – with devices that truly suit the user’s needs.